Native Instruments KOMPLETE Ultimate: What’s In It For Finger Drumming? 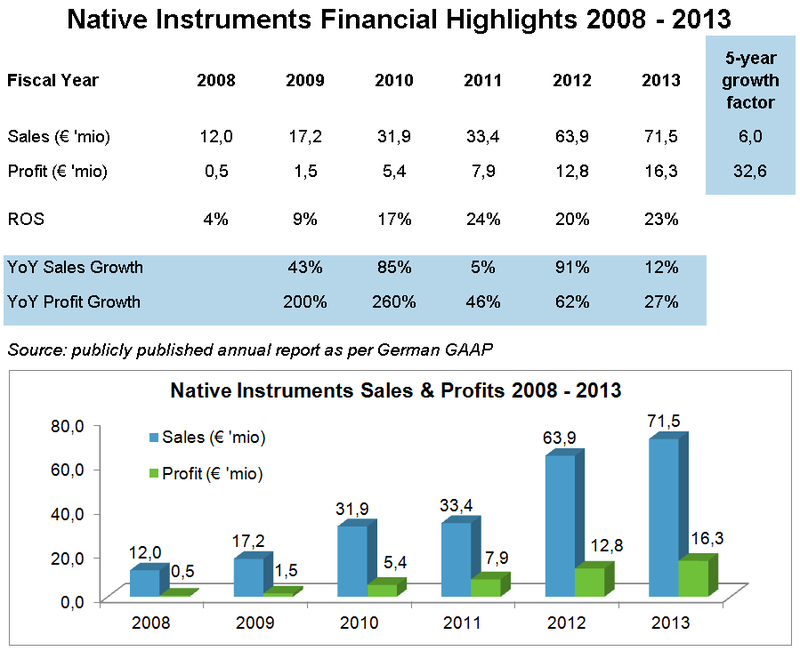 Let’s First Take A Look At Native Instruments As A Company. Why is NI KOMPLETE Ultimate So Great For Finger Drumming? It’s Too Late For Me, But Maybe Not For You. KOMPLETE Ultimate Integration With Maschine. For finger drumming with the XpressPads technique it is beneficial to have a couple of great-sounding virtual drum kits on hand when wanting to play in different styles of music. 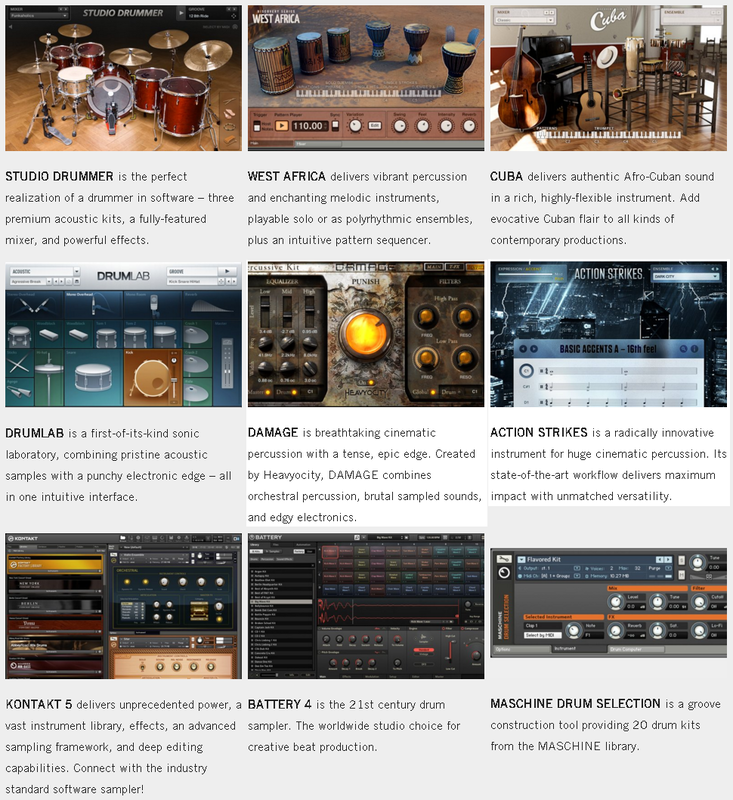 Native Instruments offers a variety of virtual acoustic drum kits as well as software instruments for producing electronic and percussive music. That’s why I’m taking a closer look at Native Instruments “KOMPLETE Ultimate ”—one of the largest collections of high-quality virtual instruments and effects available today. There are some key reasons that Native Instruments has grown so drastically over the past few years. I’ve been watching this company now for awhile, reading annual reports, as well as reviewing fiscal statements and management announcements. It’s impressive to see a company grow so steadily, especially in the music sector. Within the 5-year span of 2008 to 2013 (more current data isn’t available to me right now), Native Instruments grew sales by factor 6 while at the same time growing profits by factor 32 (!!!). This company must be doing something right. In my perception, Native Instruments has been a market leader in terms of technology, innovation, quality, and marketing. Let’s get back to the point of this article: Exploring the value of Native Instruments’ great software bundle called KOMPLETE Ultimate , especially regarding finger drummers. Now, why is NI KOMPLETE Ultimate so great for finger drumming? 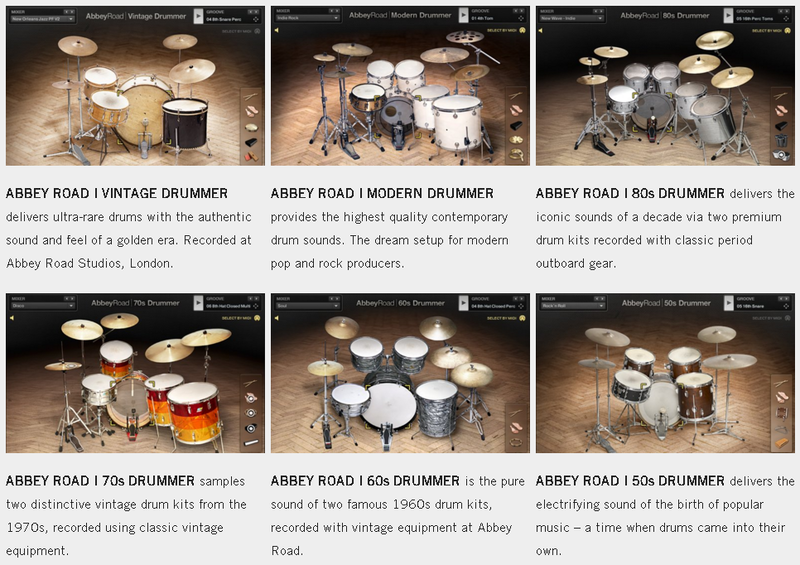 From my finger drummer’s point of view, the most important products listed above are certainly Studio Drummer and the 6 Abbey Road Drummer VIs because those are great virtual drum kits that are most useful for finger drumming. Each contains 5 to 10 gigabytes of sample content, so they sound ultra-realistic. If purchased at regular price, one would shell out roughly US$ / € 750 for all of them together. That’s already 3/4 of the price of the NI KOMPLETE Ultimate bundle. In total these products would roughly run an additional US$ / € 1,700, if purchased separately at regular prices. And that does not factor in the wealth of other software products included in the KOMPLETE Ultimate bundle. I stopped calculating but I would venture a guess that the overall single-product prices of items included in KOMPLETE Ultimate bundle would range over the US$ / € 8,000 mark, but I’m not exactly sure. Anyway, you get the point: There is incredible value in this software bundle. I have spent a lot of money on single pieces of music production software, virtual instruments, and effects. Step-by-step, all of these useful software pieces have piled-up, proving that over the years that I’ve been making music with computers, I’ve spent a small fortune. Had I been clever from the start, I would have just purchased the KOMPLETE Ultimate bundle and an update every 3 years, which would have consistently provided me the newest Native Instruments products. That means I could have saved a ton of money on separate products that I never even used because I realised they are redundant to me. Well, it’s too late for me, but maybe not for you. If you are a beginner in finger drumming / music production / sound engineering and don’t yet have a lot of virtual gear, consider the Native Instruments KOMPLETE Ultimate bundle . It’s awesome. US$ / € 999 may sound like a huge investment, but trust me, it’s not. If you’re serious about making music, you will come to the point that you’re tempted to delve into other areas of music production and try different types of effects, virtual instruments, experimental sounds, loops, and mash-ups. 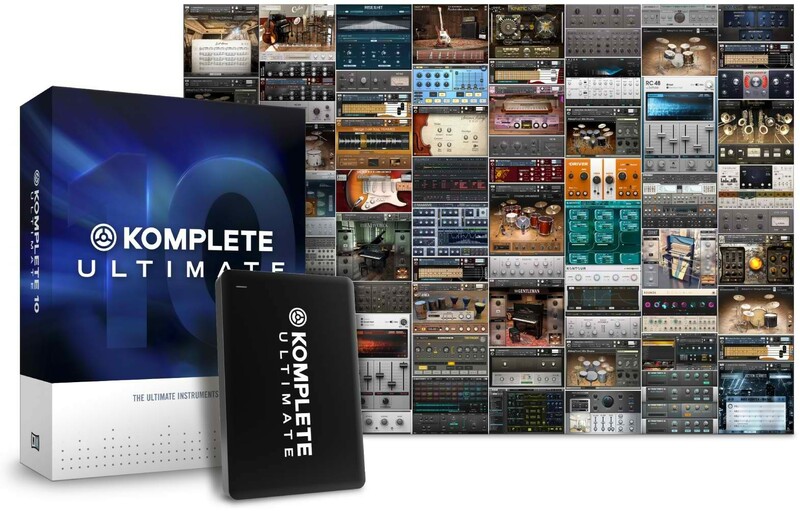 When you get there, it’s likely that the KOMPLETE Ultimate bundle will meet all your needs, saving you the trouble of having invested in something else. One more thing: If you own Maschine (or Maschine Studio / Mikro) you will benefit from the advanced integration of many of the KOMPLETE Ultimate products into the Maschine Software. Preset management, tagging, and many other advantages of good preset-, sound-, and instrument-organization will make your KOMPLETE Ultimate bundle an even more valuable toolset for realising your music-making dreams. If you’d like to offer feedback on this Native Instruments KOMPLETE Ultimate review, use the “comments” section below or the video commenting functions on YouTube or Google+. We’re interested in your thoughts and your experience. If you found this Native Instruments KOMPLETE Ultimate review helpful and consider purchasing the product, we’d appreciate it if you’d use the below Amazon link. It does not cost anything additional, but that action helps us keep up the work that we do in order to bring finger drumming to the people. Many thanks in advance!